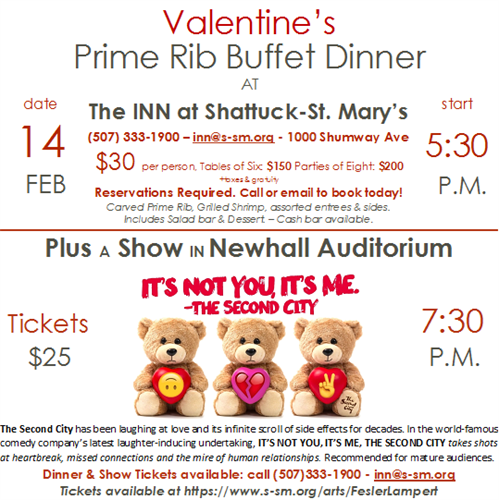 Valentine’s Dinner & Show at Shattuck-St. Mary’s. The Second City production of “It’s Not You, It’s ME” at 7:30 PM in Historic Newhall Auditorium. February 14th Dinner- $30 Show - $25 Reservations & Tickets Required - Call (507)333-1900. Dinner - $30 per person - Tables of six $150 Groups of eight $200.